The National Institute for Health and Care Excellence (NICE) has turned down Pfizer’s leukaemia drug Besponsa in draft guidance. NICE is reviewing whether the drug should be made available under the NHS for adult patients in England and Wales with relapsed or refractory CD22-positive B-cell precursor acute lymphoblastic leukaemia (ALL). Evidence from clinical trial data showed no survival benefit from Besponsa (inotuzumab ozogamicin) compared to current treatment said NICE, although it noted that more people who were treated with Pfizer's drug were able to subsequently have a stem cell transplant and go into remission than those on standard care. Besponsa is an antibody drug conjugate which binds to CD22, a cell surface antigen expressed on around 90% of B-cell malignancies, and delivers the cytotoxic agent calicheamicin into cancer cells. It was granted a positive opinion by the EMA's Committee on Medical products for Human Use (CHMP) in April and Pfizer is waiting for a verdict from the US FDA in August. Data from the INO-VATE trial, which compared the drug to standard of care chemotherapy in 326 adult patients with relapsed or refractory CD22-positive ALL and was published in the New England Journal of Medicine last year, showed that the therapy more than doubled complete remission rates (81% versus 29%) and had a slight survival advantage. NICE has a different interpretation on the survival figures with Besponsa, saying that because of a "highly uncertain" benefit compared to standard therapy the incremental cost effectiveness ratio (ICER) was higher than £100,000 per quality-adjusted life year (QALY), substantially above the threshold for cost-effectiveness. The standard treatment for ALL is intensive, long-term chemotherapy, but currently only around one in ten adults with ALL who relapse after first-line therapy survive five years or more. After the publication of the INO-VATE data oncologists welcomed having an alternative that is generally easier to tolerate than chemo, although Besponsa has been linked to veno-occlusive disease (VOD) which can require dose adjustments. Pfizer estimates that 117 patients would be eligible for treatment with Besponsa in its first year if it were recommended for routine use. The draft recommendation is now out for public consultation until July 4. David Montgomery, oncology medical director of Pfizer UK, said in a statement: "Whilst NICE, in its initial assessment of inotuzumab ozogamicin, has acknowledged the benefit of this medicine for people with this aggressive leukaemia, the draft decision is disappointing and yet again we are concerned for patients who so urgently need new treatment options." "We remain focused on finding a solution so that eligible patients can access this medicine and we will work closely with NICE as the technology appraisal for inotuzumab ozogamicin progresses," he added. 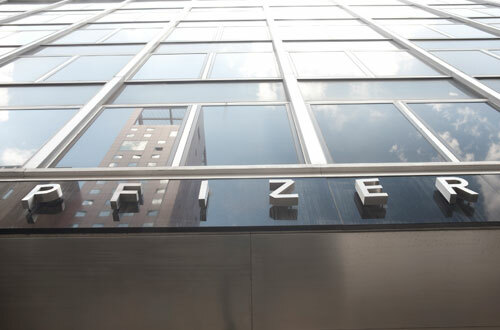 Pfizer was also developing inotuzumab ozogamicin for relapsed or refractory aggressive non-Hodgkin's lymphoma (NHL) but abandoned that programme after the drug failed to improve survival in a phase III trial, and has also discontinued the drug for diffuse large B cell lymphoma (DLBCL). The small target population for the product means it is expected to be a minor earner or Pfizer, with analysts predicting it will bring in around $250m by 2020 in the EU and US markets combined.